Do all ants look alike? Look again. These little bugs each have their own outfit. 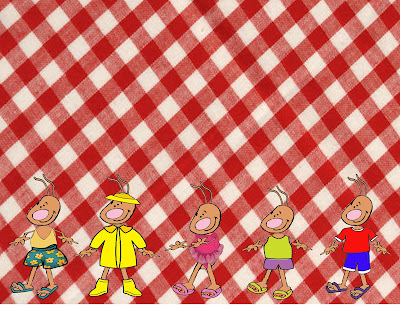 They are all ready to go to your picnic or bug party. Print them out in 18" x 12" to put in your clear, plastic placemat envelopes. See my post on making your own placemats to find out where to order them.